Following is an overview of the laws, limits, and fines as they relate to speeding traffic violations in the state of Montana. Montana has one of the highest interstate speed limits in the country. 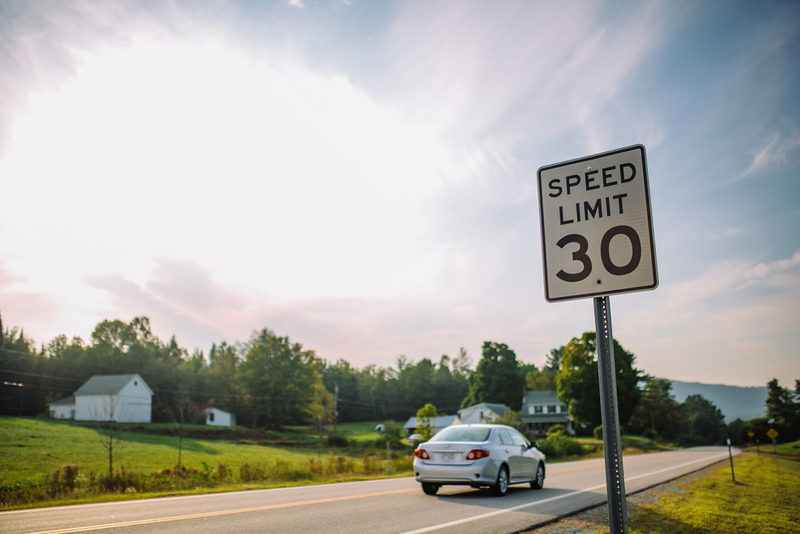 As of October 2015, the state is just one of six to post an 80 mph limit. Montana also maintains reduced nighttime speed limits in some areas, typically from 55-65 mph. Due to variations in speedometer calibration, tire size, and margins of error in speed-detecting technology, it’s uncommon for an officer to pull a driver over for going less than five miles above the speed limit. However, technically any amount over can be considered a speed violation, so the best practices are to stay within the limit. The driver may oppose the determination of speed. In order to claim this defense a driver must know how his or her speed was determined and then learn how to disprove its accuracy. A driver may claim that an emergency situation caused the driver to break the speed limit in order to prevent injury or damage to themselves or others. The driver may claim a case of mistaken identity. If a police officer clocks a driver speeding and subsequently has to find them again in traffic, it’s possible that they could make a mistake and pull the wrong car over. Montana classifies different levels of speed violations as either an infraction, or a Class A, B, or C misdemeanor. Potential penalties are based upon the severity of the violation (in other words, the amount over the speed limit a driver is traveling, and whether the violation causes an accident). There is no set speed which is considered reckless driving in this state. That determination depends upon the circumstances of the violation. Violators may be required to complete a driver rehabilitation and improvement course.